Quentin Garel: Anima Artificialis is the artist’s first solo exhibition in Asia. It comprises of Quentin Garel’s latest creations, including an exclusive sculpture made for Singapore: The Mask of the Bullmastiff – his first ever dog sculpture, as a tribute to 2018’s animal of the Chinese Zodiac. 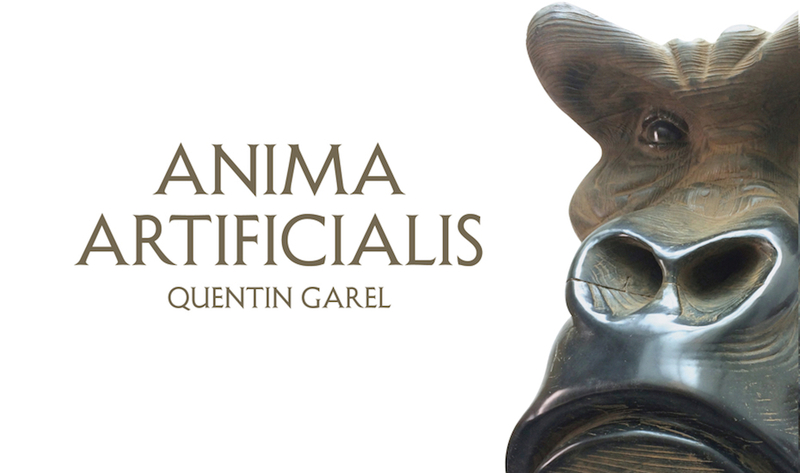 The exhibition Quentin Garel: Anima Artificialis weaves together captivating sculptures that depict Garel’s never-ending dynamic between truth and illusion, through the use of his bronze sculptures which trick the mind not only visually, but also intellectually. His wood-like bronze sculptures capture the delicate texture and warmth of wood, which in turn gives an added dimension to his animal heads and fossilized skeletons. Immerse yourself among his sculptures, such as the ostriches, monkeys, elephants, and even prehistoric animals like the saber-tooth tiger. The exhibition will run from the 24th of January to 10th of March, 2019, daily from 11 am to 7 pm, at Mazel Galerie Singapore. Admission is free.